Don’t look now, but there’s a President on the playground…and he’s having the time of his life! 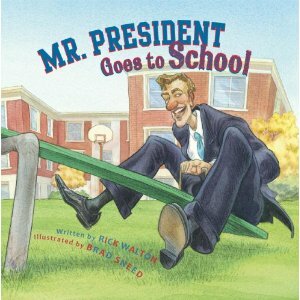 Mr. President Goes to School, by Rick Walton, is the surprisingly clever new picture book that proves you CAN go home again (or at least back to the playground of your youth). When Mr. President has had enough of the drama, he dons a clever disguise that leaves him looking like a cross between Groucho Marx and Inspector Gadget, and heads to a safe haven…his old elementary class. 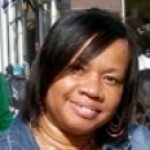 His old teacher–the lady with the gray hair–welcomes him into the classroom just like she did many years ago. There he raises his hand to ask questions, finger paints, and makes plenty of friends on the playground. It’s a wonderful respite from White House pressures, and conjures all the old problem-solving techniques of yester-year that got him through childhood and into the hallowed halls of the White House. This is a wonderful book for introducing the importance of the presidency, and the various problems particular to that position. It’s also great for teaching tolerance, cultural differences and conflict resolution. The watercolor illustrations by super-talented Brad Sneed are quaint, familiar, and hilariously over-the-top, and are a prime example of what great picture books are all about: GREAT PICTURES! I received this book for review free-of-charge, but even if I hadn’t, I’d still have the same opinion: Peachtree Publishers have done it again! For an attractive picture book with a clever spin on an important American profession, and for illustrations that make your eyes sparkle, be sure to grab a copy of Mr. President Goes to School. Previous articleAre You My Mother? 50th Anniversary Party Edition!